The following article has been published in Transformer Magazine No. 1 2019. Click click here to download the complete article as PDF. Click on the following link to get translation: German PDF and French PDF . Used transformer oil (UTO) is a valuable resource, because it can be processed to “as new” quality for re-use as insulating fluid. 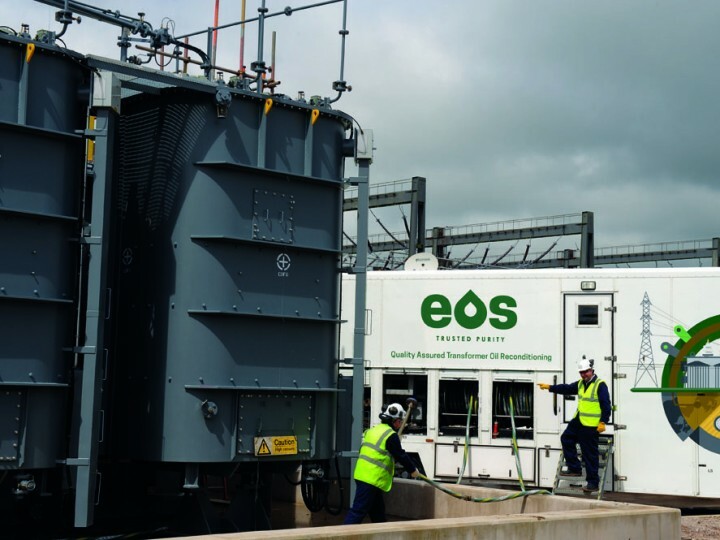 Customers in the electricity transmission and distribution markets as well as high-energy demanding industries can now take advantage of EOS transformer service offerings ranging from UTO collection to mobile and/or stationary transformer oil regeneration and maintenance. These services are available all over Europe and help companies’ to meet their circular economy requirements and reduce their carbon footprint. 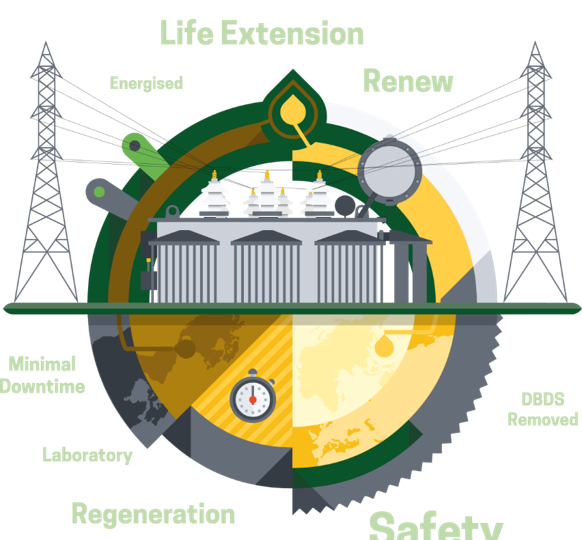 There is limited awareness in many European countries that transformer oil regeneration is a viable process to enhance the oil quality to “as new” condition and extend the overall transformer performance and service life. Tom Larney, Vice President Electrical Oil Services (EOS) confirms: “With a challenging environment of increased demand on utilities and industries to “keep the lights on” in an economic and environmentally friendly manner, within a framework of policies and regulations, asset managers must view recycling and regenerated transformer oil as trusted tools to achieve their objectives. The latest techniques for in-situ oil regeneration to “deep cleaning” insulation systems to extending the life of transformers as well as the option to re-use your own regenerated insulating oils are now both technically and economically viable options for consideration.” Unfortunately, many transformers are old or are poorly maintained. It is however easy to combine a regular four-year mandatory transformer check-up with oil sample testing to check the oil quality and take the appropriate steps if required. In the long term, these actions will save the asset manager money and extend the life of the transformer. It is important to mention that the insulating oil system and specifically the condition of the paper of a transformer determines its performance and service life. A transformer, depending on its performance class, can cost between several thousand up to millions of Euros, and has to provide stable performance over many years. However, the insulating oil degrades over a transformer’s operational lifetime. The oil oxidises upon contact with oxygen, and elevated temperatures further accelerate this process. 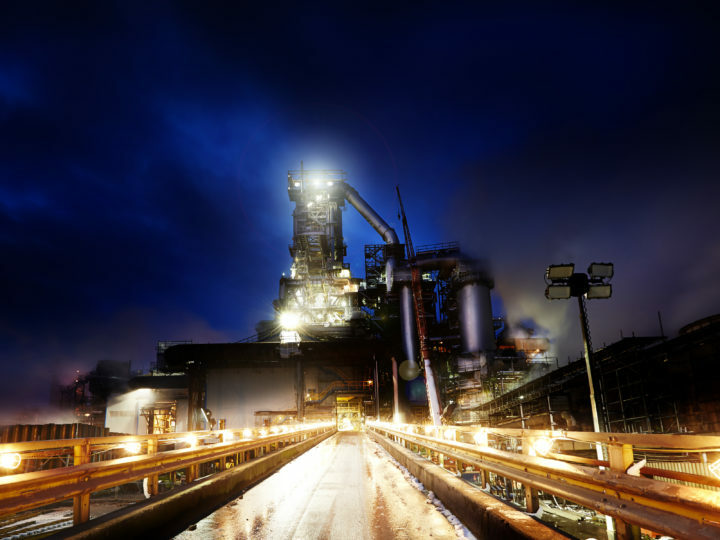 The formation of acid components or sludge may ultimately lead to a situation where the dielectric or, in extreme cases, the thermal characteristics of the insulating oil are impacted. In the worst-case scenario, the complete transformer may fail, resulting in an outage. EOS recommends that the quality of the insulating oil be tested at regular intervals. A good option could be to include the oil testing during one of the mandatory audits. As a first step, this requires the taking of an oil sample, which can expertly be performed by one of the EOS employees traveling to the customer’s premises. This oil sample is then analysed at one of EOS own laboratories. If the analysis shows that the oil quality is insufficient, the experts will advise how to improve the insulating oil quality. 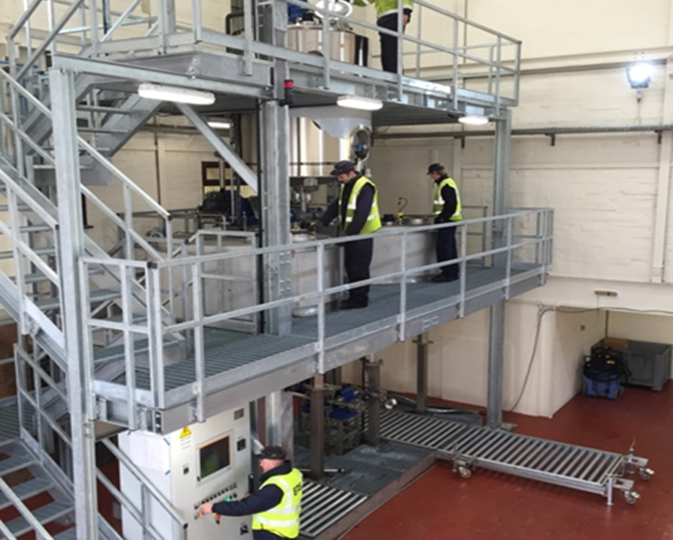 Different technological options exist to do this ranging from normal drying, filtering and degassing with an oil-processing unit, on-site regeneration to even an oil change depending on the situation. Recently HCS Group, the heritage company of the EOS business, has heavily invested in order to expand the EOS activities across the European market. Two German companies were acquired in 2018. Martin Seipel states: “Now that we have access to the necessary infrastructure also in Central Europe, we can offer a complete service package to the market and can react flexibly to customer requests. The long experience of EOS in the field of closed-loop system management is now combined with the infrastructure and expertise of the acquired companies.” The first acquisition was completed during the summer and gave business in Germany access to additional experienced mobile transformer services and an own laboratory. The second acquisition related to a compa­ny specialised in the recycling of transformer and turbine oils using ecologically-sound processes at its production site in Duisburg. Both acquisitions complement each other, combining mobile services with stationary transformer oil regeneration and maintenance. Now EOS is in the position to offer the same comprehensive basket of services on mainland Europe as they have done for many years in the UK. Nevertheless, it is EOS ambition to expose more customers to the existing and new technological processes and opportunities to save valuable resources and help companies to meet environmental requirements and responsibilities. Besides insulating oil testing, mobile transformer maintenance and oil processing, EOS has introduced its so-called “Closed-Loop” model. In this model, used transformer oil is collected from customers’ sites, regenerated at EOS production plant to as-new oil quality, and fed back into the circular economy providing multiple benefits to both companies and the environment. “We are convinced that our “closed-loop” model to collect used transformer oil and the production of high quality insulating oil is an environmentally-sound and cost-efficient alternative to new unused insulating oil for consideration by all asset managers and engineers in Europe”, concludes Tom Larney. 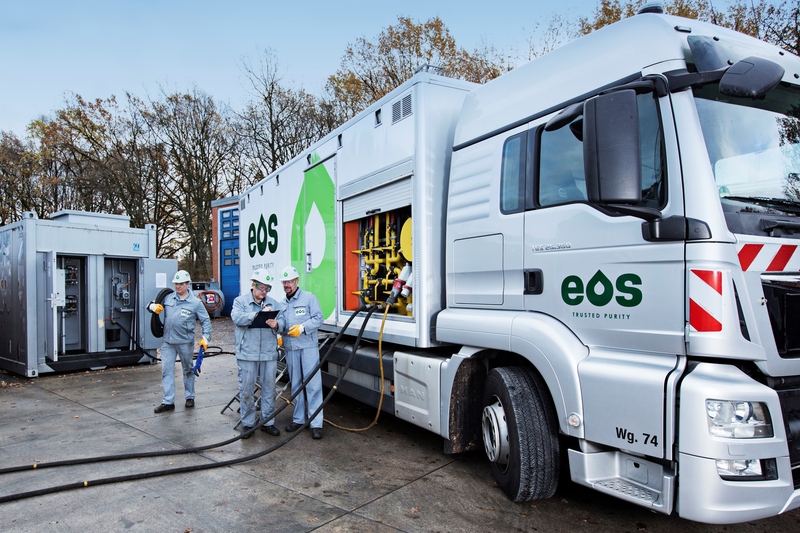 The EOS Premium grade has been developed to secure the future of insulating oil recycling. The new revised IEC60296 Standard, expected to be published in 2019, will now include performance parameters for recycled or regenerated insulating oils similar to those for unused oils. This will allow customers to consider to substitute some of their unused (new) oil requirements with a quality regenerated alternative such as the EOS Premium grades which are available in both uninhibited and inhibited grades to meet customer oxidation stability requirements. EOS Premium can be used as a direct replacement for all customer maintenance activities or oil changes where new oil may be too expensive or unnecessary for the application. Asset managers can have all the green benefits at a cheaper price! Further potential of the EOS business can be seen in the renewable energy business. For example reliability and performance capability of larger photovoltaic power plants depends to a large degree on the availability of their transformers. Many transformers of renewable energy plants have now reached an age where it is recommended to regularly check the insulating system and the oil. EOS together with a partner from the photovoltaic business have established a cooperation to support customers from the renewable energy business in order to enhance the performance and life of their transformers. With three locations now in Europe including the recently established Electrical Oil Services GmbH based in Hamburg, Germany, HCS Group is in a position to support changing market conditions. “In view of growing environmental awareness and the need for cost-efficient energy supply by electricity utilities, we are convinced that the recycling and re-use of regenerated transformer oil will gain importance across Europe”, states Martin Seipel, Managing Director Electrical Oil Services GmbH. EOS experts at EOS service unit.